The legend of the Upper East Side Widow lives on in this limited edition tee. This t-shirt was designed exclusively for the fans of the infamous NYC housewife turned murderess. A portion of the proceeds supports The Center for Arts Education. 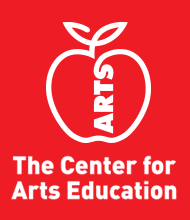 The Center for Arts Education (CAE) is committed to ensuring that every child in every New York City public school has equal access to a well-rounded education of which the arts are a central component. We work to achieve this mission through school and community programs, professional development, parent engagement, and advocacy. CAE offers a comprehensive platform that includes model programs in all arts disciplines, professional research, and policy recommendations that inform the conversation about arts education at every level from the classroom to the Capitol. To get involved, visit our Action Center. To learn about our school and community programs, click here. And, if you'd like to talk about bringing CAE to your school, please fill out this form. A minimum of $1.00 raised from the sale of "Upper East Side Widow" will benefit The Center for Arts Education.